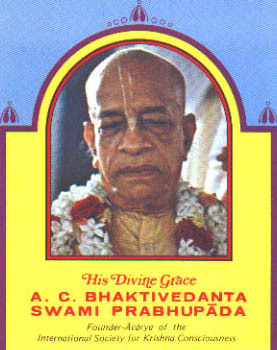 a pure devotee of Krsna, who raised me as a Krsna conscious child from the beginning of my life. In my boyhood ages he instructed me how to play the mrdanga. He gave me Radha-Krsna Vigraha to worship, and he gave me Jagannatha-Ratha to duly observe the festival as my childhood play. He was kind to me, and I imbibed from him the ideas later on solidified by my spiritual master, the eternal father."